National Law University, Delhi organised a capsule course for revenue officers at National Law University Delhi from 18-23 September, 2017 at National Law University Delhi. • To make basic procedure as part of Standard Operating System so that cases pass the security of court proceedings. 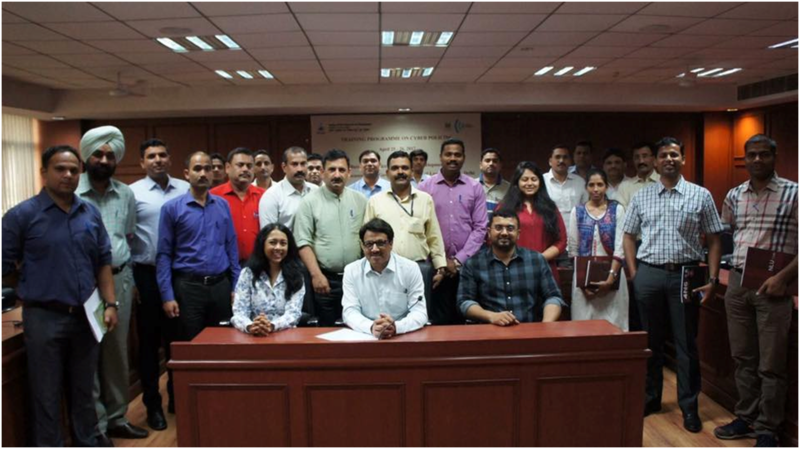 The course was delivered in such a way to cover intricacies of Tax Administration and General Administration, from the point of legality of various action taken. Approximately 30-35 revenue officers participated in the course. Prof Sachdanandam, Prof B T kaul, Mr R S Dalal, Mr G P Kumar, Mr Manmohan Sharma, Mr Sidharth Aggarwal, Mr Vibhu Anand, Ms Karnika, Ms Getanjali, Mr Niteash, Mr Aman Hingorani, Mr R P Kaushal, Mr D N Kar and Mr N S Dev were the resource person for the course. NLUD has been organizing this course every year since 2015. 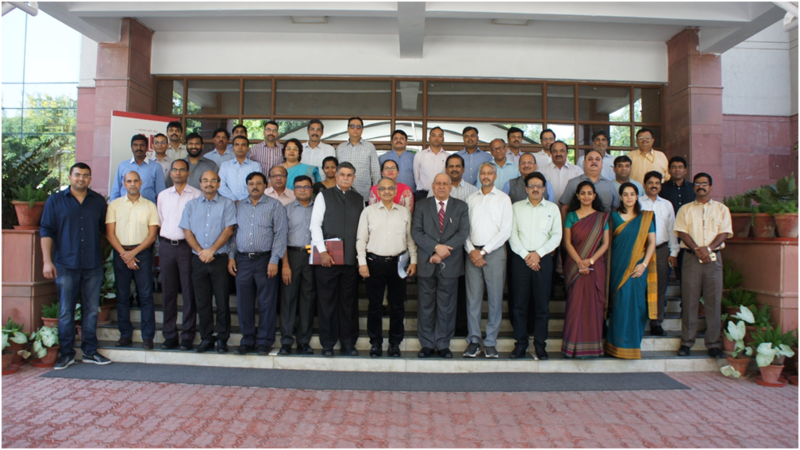 A two day training programme on cyber policing was conducted on 25 and 26 April 2017, by the Centre for Communication Governance at the National Law University Delhi in conjunction with the Bureau of Police Research and Development. The programme was targeted towards facilitating more efficient law enforcement in an increasingly digital world, and was attended by 27 police officers of the rank of Sub-Inspector and above. During the programme, noted experts from legal, technical and law enforcement backgrounds shared insights on the theory and practice of policing in cyber space. Resource persons for the programme included Justice Yatindra Singh, Former Chief Justice, Chattisgarh High Court, Mr. R Sri Kumar, Former DGP, Karnataka, Dr. Madan Oberoi, IPS & Former Director, Cybercrime, INTERPOL, Ms. AnanthalakshmiAmmal, Associate Director, CDAC - Trivandrum, Mr. TrideepPais, Advocate, Dr. Mrinal Satish, Associate Professor, National Law University, Delhi, Mr. Vineet Kumar, President - Cyber Peace Foundation, Dr. Aparajita Bhatt, Assistant Professor, National Law University, Delhi, and Mr. YuvrajSamant, Advocate. The program was guided by Prof (Dr.) G S Bajpai. The programme was coordinated by Mr Sidharth Dahiya, Assistant Registrar (Academic & Coordination) and MsShuchitaThapar (Project Manager, Centre for Communication Governance). The programme was conceptualised by Ms. ChinmayiArun, Executive Director, Centre for Communication Governance and Associate Professor, National Law University, Delhi. A one-day Training Programme on Human Rights was organized by National Law University, Delhi in collaboration with National Human Rights Commission. Prof. Prasannanshu the co-convenor of the Training programme presented a programme introduction. The welcome address was delivered by the Honourable Vice-Chancellor of National Law University, Delhi Prof. Ranbir Singh. This was followed by an address by Prof. Sachidhanandam, one of the senior-most faculty members of NLUD, and close with a Vote of thanks by the Convenor and Organizing Secretary Dr. Ritu Sharma, Assistant Professor, NLU Delhi. From 10:30 am to 4:30 pm there were 4 sessions in the following sequence: An Introduction to Human Rights by Dr. Bharti Kumar; Human Rights’ Institution in India by Mr. Iqbal Ahmad; Rights of Women and Children by Dr. Maheshwar Singh and finally the Rights of other vulnerable groups by Dr. J.S. Mann. The training programme aimed to sensitize the youth on the issue of human rights by raising the levels of awareness. The students of today are expected to take various roles in the society tomorrow. If they are sensitized towards the issues of human rights then it can be expected of them to help in evolving a fairer society, where human rights are respected to a greater degree. Convener- Dr. Ritu Sharma, Assistant Professor (Sociology), National Law University, Delhi. Co- Convener- Prof. Prasannanshu, Professor (English), National Law University, Delhi. A Trinational Winter University was held at National Law Uniiversity, Delhi from 20 to 26 February 2017 in collaboration with Universite Paris Ouest Nanterre LaDefense, and Universitat Potsdam. This Winter University has been funded by L'Université franco-allemande (UFA) - Deutsch-Französische Hochschule. NLU, Delhi hosted this Winter University (Germany / France / India) on the theme of Interactions between Culture and Law in Europe and India on "Interactions between culture and law in Europe and India". Around 38 students and 12 Professors from Potsdam (Germany) and Nanterre (France), participated, in addition to Indian academics, students and researchers. The resource persons included several scholars from Germany, France and India. The sessions coverd a wide range of themes including Law and Language. The event opened with a Welcoming addresses by Prof. (Dr.) Ranbir Singh, Vice-Chancellor, NLU Delhi and a Presentation of the Porgramme by the Co-Directors: Prof. (Dr.) Prasannanshu, Professor, NLU Delhi, Prof. (Dr.) Tobias LETTL, Professor, Universität Potsdam, and Prof. (Dr.) Stephanie Rohlfing-Dijoux, Professor, Université Paris Ouest Nanterre.